When you think of holidays, the first thing that usually comes to mind is home and family. Starting with Thanksgiving and then continuing through to New Year, now is the time to give your home a fresh look. 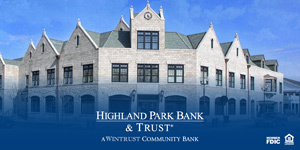 Highland Park Today talked to store owners around town to see what’s going on this season. They’ve provided a treasure trove of ideas, big and small, to ensure the holidays at your home are festive and bright. Table Compliments (482 Central Ave, Highland Park) focuses on using tableware in new and creative ways. Owner Judy Sider said that aside from the fact that people are embracing warmer shades of gray, the biggest trend she sees is a move towards renewing and refreshing what you have with well thought-out accessories. She recommends that customers show her a photo of their dining room and kitchen or bring in a sample showplace piece, like a plate, into the store. She and her staff will then provide personal table design, finding the right table linens and accessories that will work with what you have. And, she does it all at no charge. Another trend that Table Compliments fully embraces is the move to easy-care table linens. Table Compliments features a line of polyester tablecloths that look like linen but are machine washable and best of all, are at a budget-friendly price. Another new line of linens is actually made out of vinyl and features great patterns that will spruce up any room. Style Shack (1839 Second Street, Highland Park) is the go-to destination to make your home ready for the holidays and all the family gatherings that are sure to ensue. Style Shack offers an exclusive, one-on-one appointment with their talented design specialists to ensure your home looks extra special for the holidays. They tailor each client’s wishes through photos or a home visit to enhance any room in the house. Style Shack especially loves the challenge of taking an “un-loved” bookcase and turning it into a spectacular showpiece. This season, the Style Shack recommends going for the gold. They offer beautiful metallic table settings accenting gold table ware, serving pieces and glowing candles. You’ll also find a divine candle and home fragrance line called Antique Farmacista that highlights an exclusive, Black Label Holiday Scent. Even one scented candle can make a space feel very welcoming. Warm, luxurious blankets made from fur, cashmere or silky alpaca wool are another way to make guests feel cozy and welcomed. Snuggling up with a gorgeous throw will elevate the luxurious feel of any room in the home. Stack them up in large baskets and grab one when the family is sitting around the fire. Stacking textiles in large baskets makes a living space feel cozy. Grab one (or a bunch) when the family is sitting around the fire enjoying the holidays together. According to Yasmin Mekki of Kenzy Gifts & Décor (1849 Green Bay Rd, Highland Park, 847-780-4177), adding a few trends to your holiday décor is the perfect way to set the mood. She also said that Hanukkah tables are looking even better than ever. Kenzy Gifts & Décor now has even more offerings with Judaica details. For those who celebrate Christmas, plaid is the way to set the stage. Intersperse plaid table settings or a bit of plaid home décor – or even add in a ginger bread cookie platter with a touch of plaid. Another fun way to add details to any holiday table are pieces from the Nora Fleming collection. Nora is an Illinois native who designs a variety of entertaining pieces, like platters and serving boards, with interchangeable figurines that you can swap out for every holiday and occasion throughout the year. Yasmin and her team work one-on-one with their customers to make sure their holidays are a success, from finding the right pieces to update an old china pattern to handpicking the perfect gifts. Summer Classics Home (1850 Second Street, Highland Park, 847-926-3069) is known for its stylish outdoor living. Not surprisingly, Bruce Erickson, owner of Summer Classics HOME of Highland Park, is an expert at bringing the best of the outdoors in, especially for the holidays.